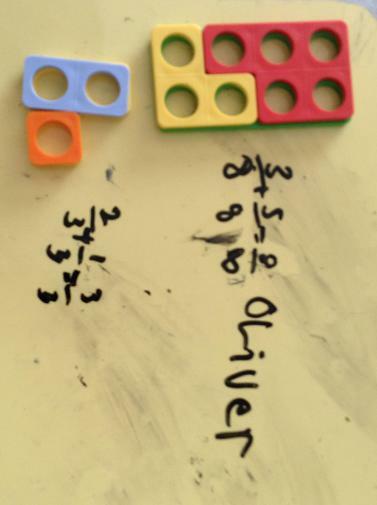 We have begun the term exploring and investigating number and place value. 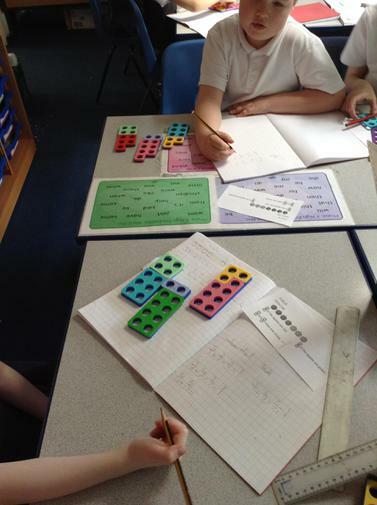 We have been using multilink, dienes (base 10), arrow cards and other practical equipment to help further deepen our understanding of number. 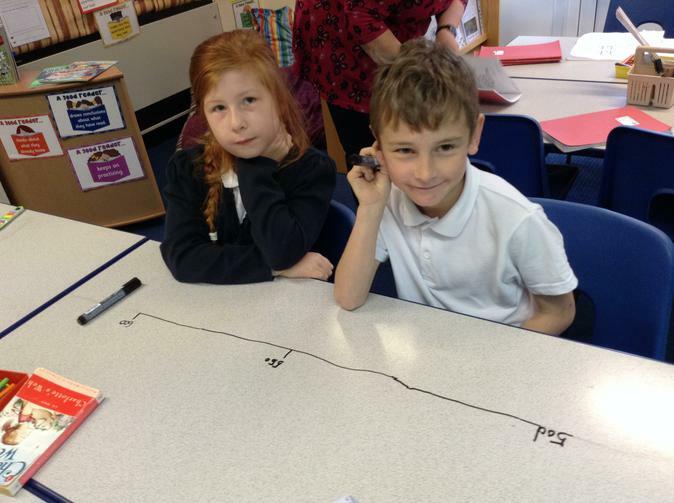 We have been looking at using number lines to position numbers up to 1000. 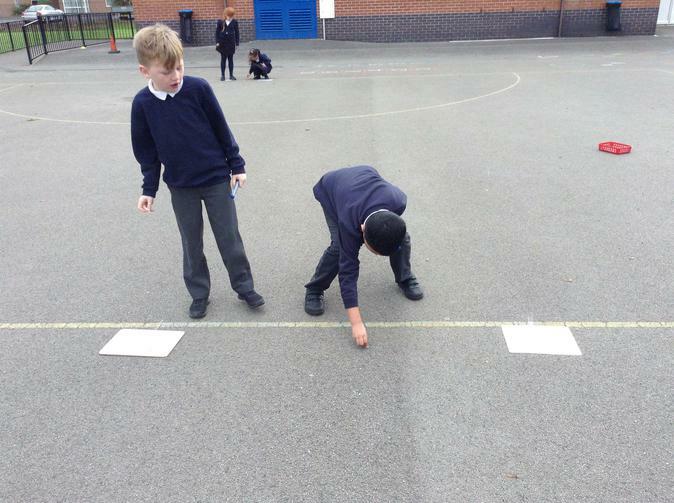 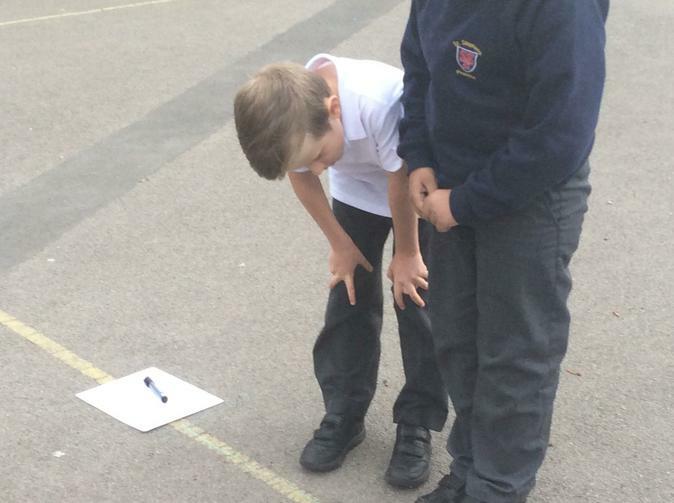 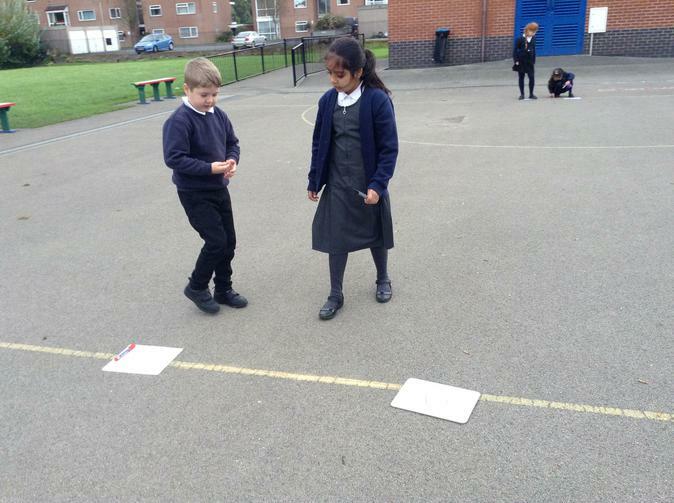 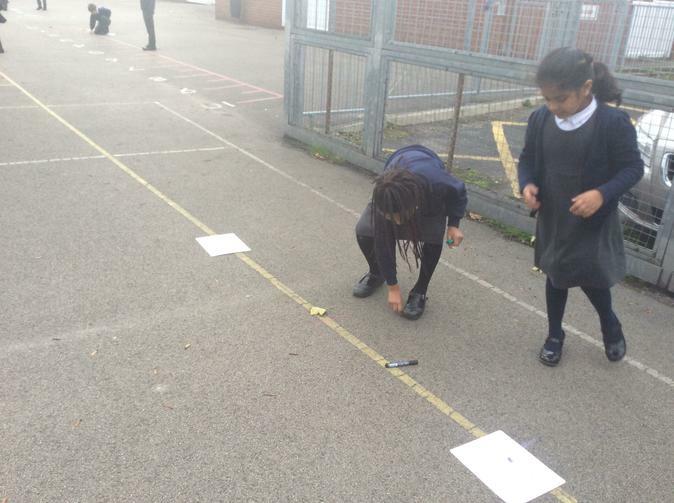 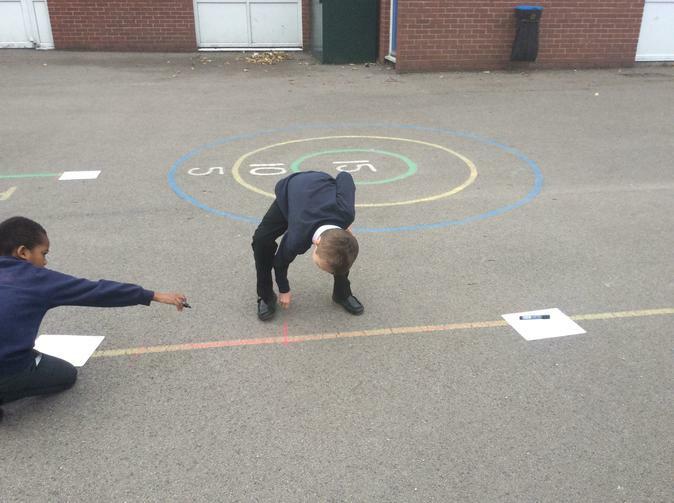 We had a great time outside using chalk and white boards estimating where numbers would go. 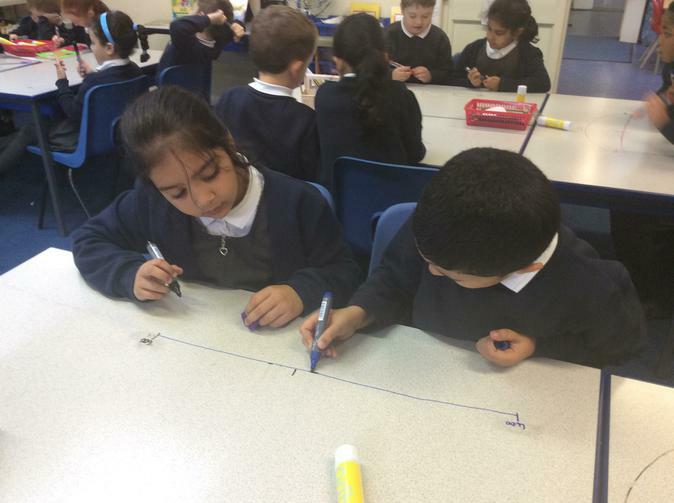 We also loved drawing number lines on our tables in whiteboard pen.....it did wipe off afterwards! 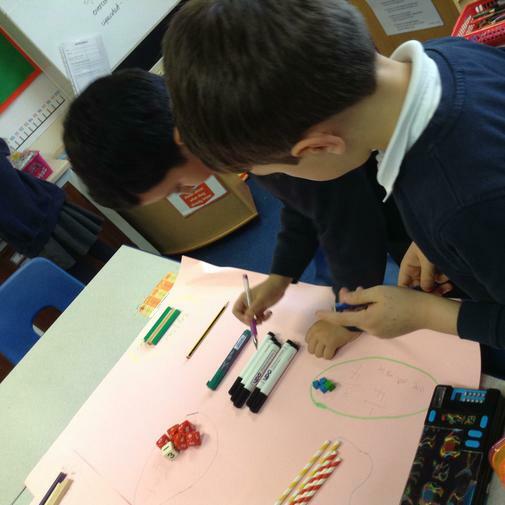 For the rest of this term, we are exploring addition and subtraction. 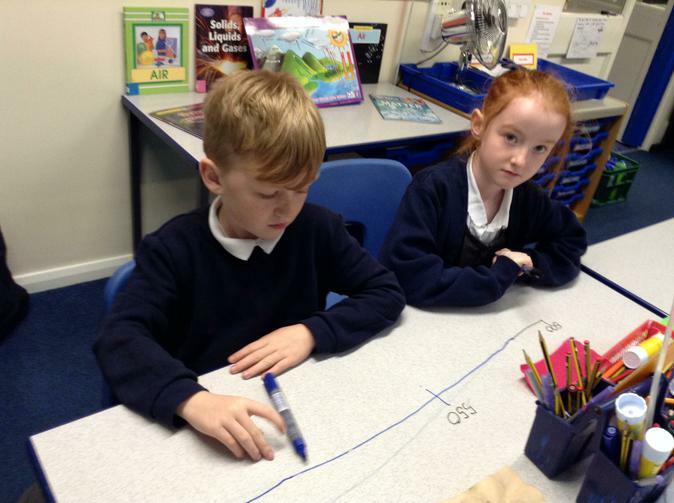 We have been investigating lots of different ways to add and subtract multiples of ones, tens and hundreds from a 3 digit number. 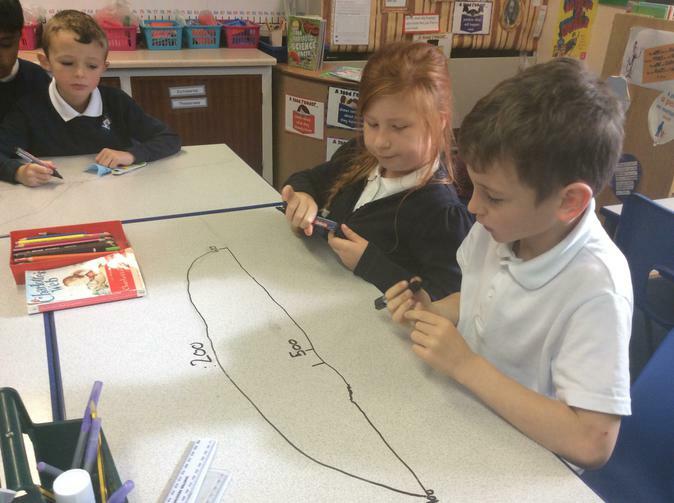 We have been using practical equipment, drawing pictures to explain and show that we understand and prove what the answers are. 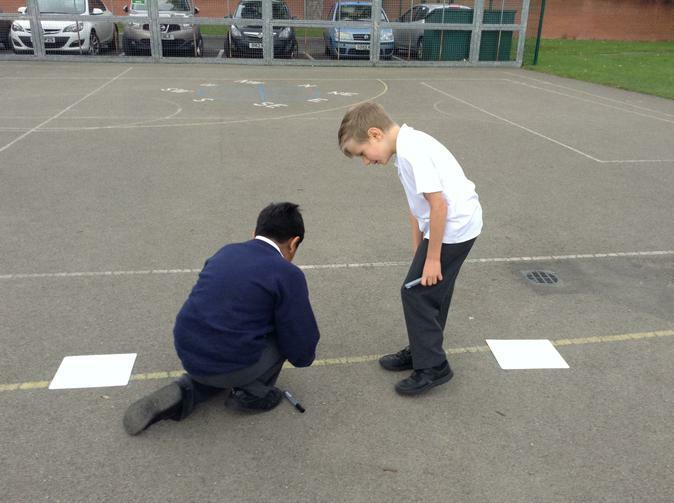 We have also been 'magpieing' other people's good ideas to help us consolidate our learning! 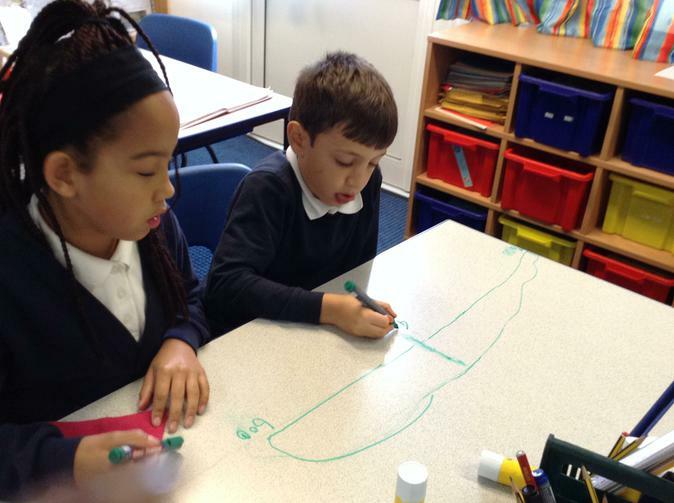 We have really enjoyed using the practical equipment to help us understand formal methods of coloumn addition and subtraction. 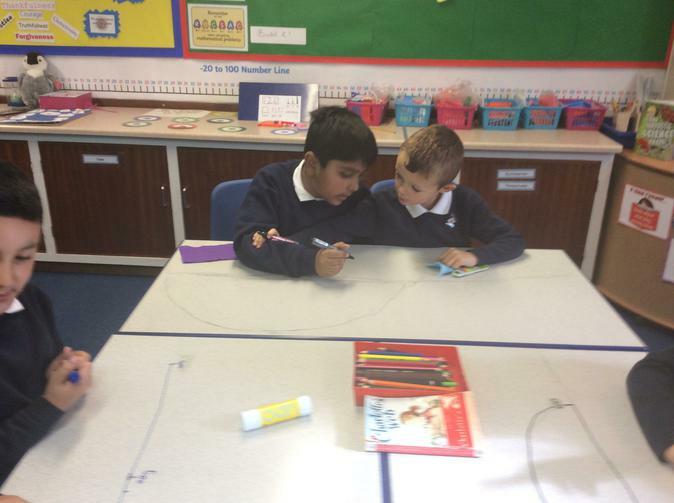 We progressed to drawing it pictorially and some of us were even brave enough to do it abstractly! 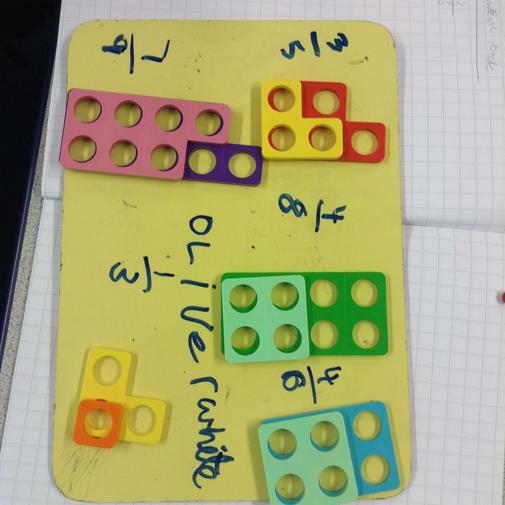 Towards the end of the term we have been reasoning and problem solving using what we have learnt about place value, addition and subtraction. 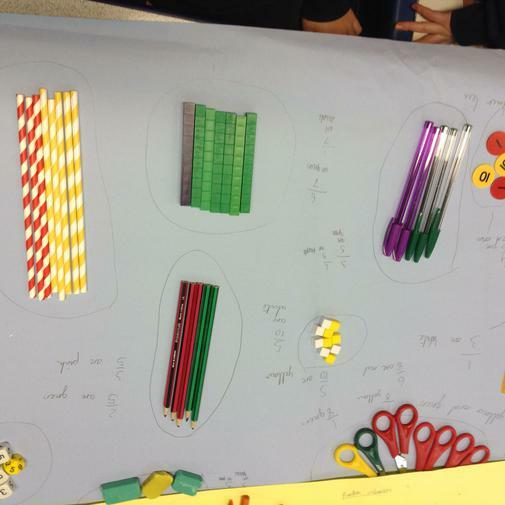 We have been using counters, multi-link and lots of other different objects to help us multiply and divide. 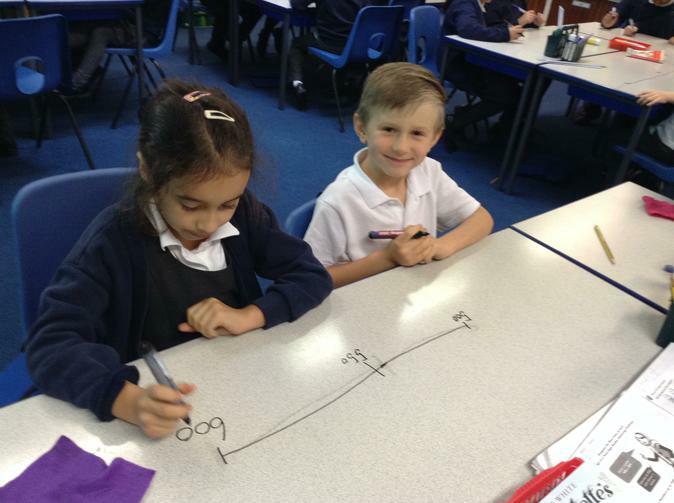 We have also drawn pictures to show our 3, 4, and 8 times tables in many different ways. 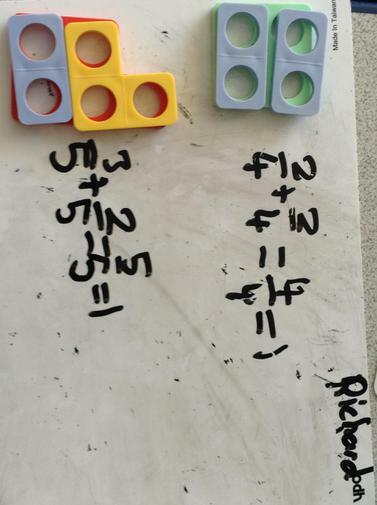 We then used this to help us solve trickier problems like 30 x 8 or 90 x 4. 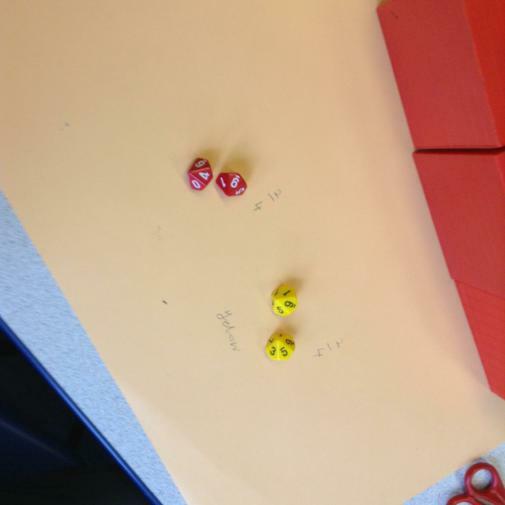 We discovered that we could exchange our 1 counters for 10's counters. 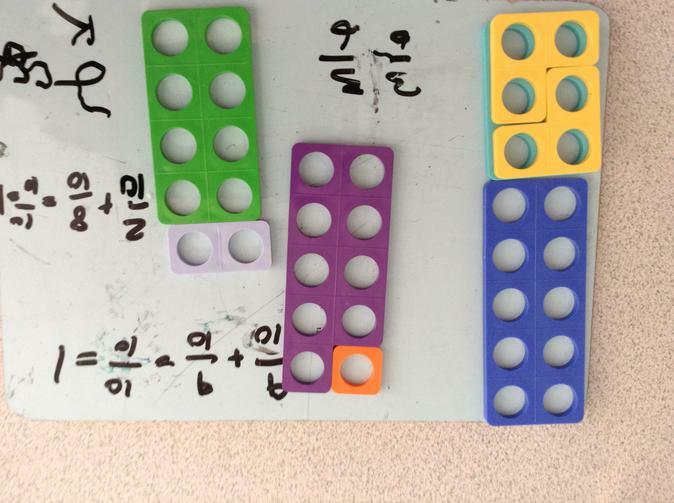 For the rest of the Spring Term, we have developed our problem solving skills further in multiplication and division. 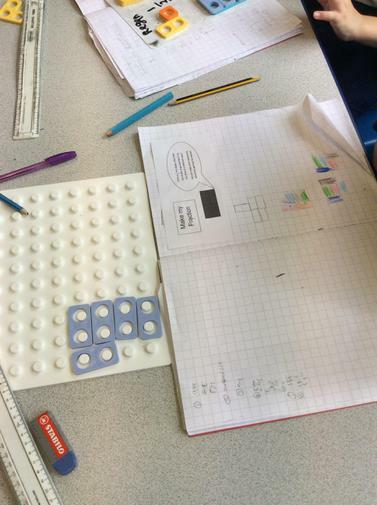 We have used practical equipment like 1/10/100 counters and dienes to help us solve multiplication and division calculations. 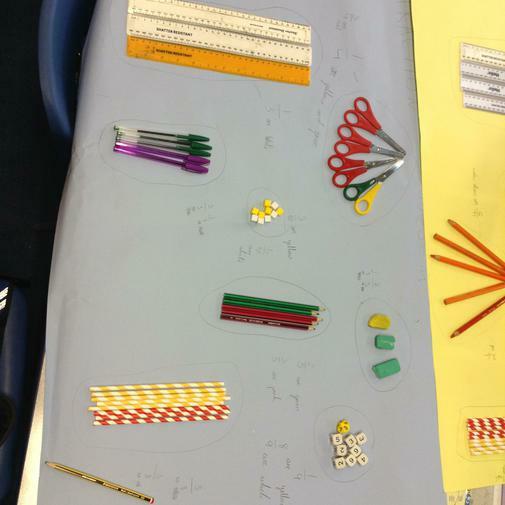 We were able to transfer these skills into drawings and diagrams to help us embed these skills further. 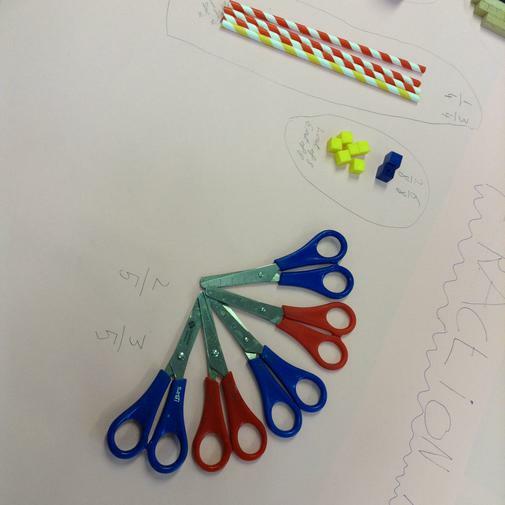 We have started the summer term having lots of fun with fractions. 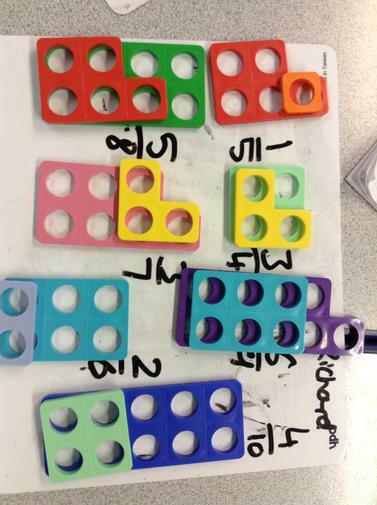 We have used the numicon to help us see and understand what a fraction is and we have used the equipment to find fractions that make a whole.In pairs we made a fraction museum of different objects in the classroom. 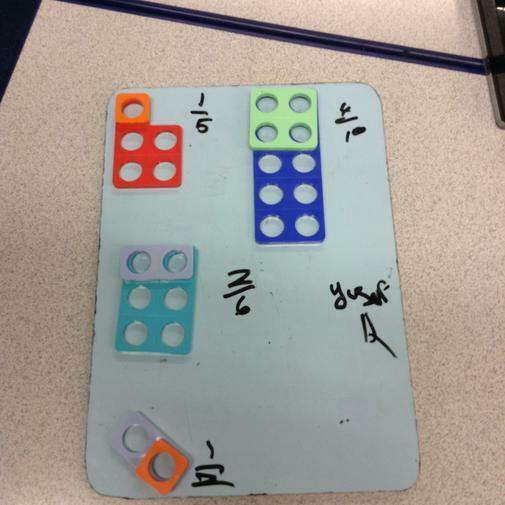 We also used the numicon and multilink to explore and investigate what the whole shape would look like if we were only given a fraction of it. 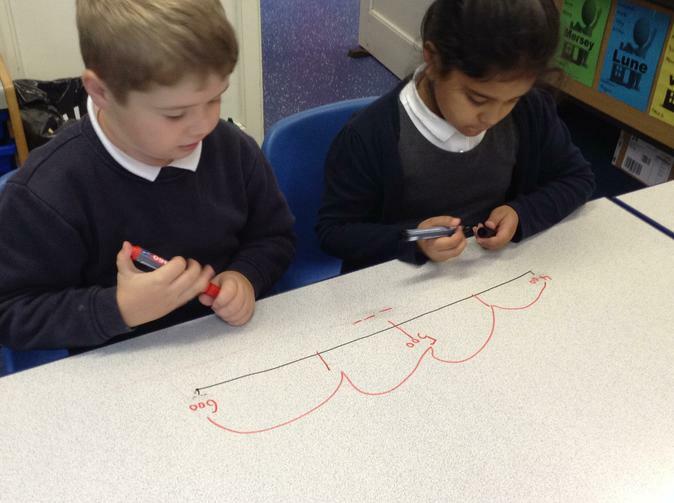 Time has been our focus for the last part of the summer term. 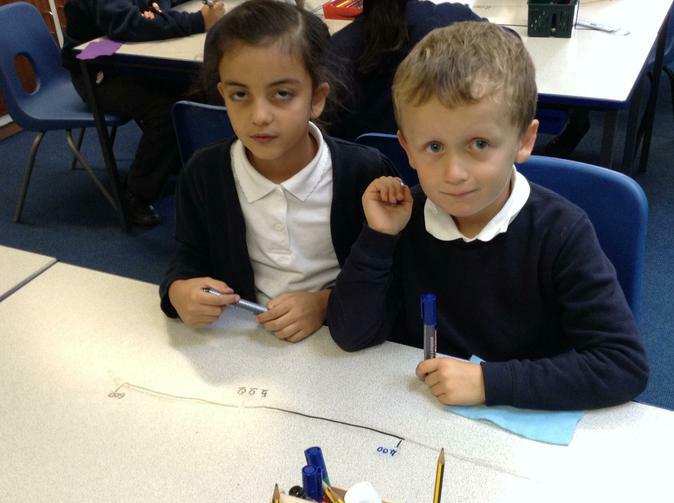 We have used the clocks to make, read and say the time in analogue and digital time.